Mold Remediation– the removal, cleaning, sanitizing, demolition, or other treatment, including preventive activities, of mold or mold-contaminated matter that was not purposely grown at that location. Mold is a natural part of the environment around us, and it plays an important role in the natural breakdown of organic materials. While there will always be some mold spores in your New Jersey home or business, mold can become a serious problem if spore levels begin to exceed normal levels. Significant indoor mold growth is likely the consequence of an underlying moisture problem that needs to be addressed in order to restore your NJ property to safe conditions. Water and mold can leave you with serious property damage and lead to potential health risks. Indoor environments that suffer from excessive mold development require mold remediation to restore a safe environment for residents and occupants. If your NJ residential or commercial property has a potential mold problem, you need to contact a mold remediation professional in New Jersey. Mold should be addresses right away. Neglected mold and moisture will only worsen and spread to previously clean, unaffected areas of the property. The initial assessment is a very important step. In order to properly address the mold contamination and ensure that it does not return following remediation, the mold inspector needs to gather as much information as possible in the initial appointment. Professional mold remediation is far more involved than simply “treating” the existing mold. Mold needs to be actively removed from the environment following specific cleanup and safety protocols. Additionally, there are several other important steps required in every mold remediation to ensure an effective cleanup. The intent of mold remediation is to remove the mold, get to the bottom of the water source and complete a thorough cleanup. Source Identification: A key to a successful mold remediation is addressing the moisture source. In order to guarantee a successful mold remediation and prevent the re-growth of mold, the moisture source needs to be properly addressed. A professional remediation company should be able to get to the bottom of where the moisture starts and stops. If the moisture problem is not resolved, mold re-growth is inevitable, despite a successful cleanup. Containment & Safety: Airborne mold spores can travel to, land on and contaminate virtually any surface. Naturally, the mold remediation process will disrupt settled spores and force spores into the air. Before starting the mold removal project, mold remediation technicians have to isolate the contaminated areas with containment barriers. Proper and effective containment will prevent cross-contamination to clean, unaffected areas. Cleanup & Disposal: In many cases, mold can be effectively removed from the surface of certain building materials by following the IICRC S520 Mold Remediation Protocol. However, depending on the type material and the severity of contamination, some building materials may be deemed non-salvageable and must be removed and safely disposed of. Mold remediation technicians should be trained in the most advanced cleaning and demolition techniques in order to ensure a safe, effective mold remediation. In some cases of minor mold growth, the New Jersey home or business owner might be able to handle the cleanup on his/her own with a little guidance and education. According to established industry standards, areas of 10 square feet or less of mold growth usually do not require professional mold remediation. However, if you are faced with a larger area of concern or multiple areas of concern, professional mold remediation is likely the only effective solution. 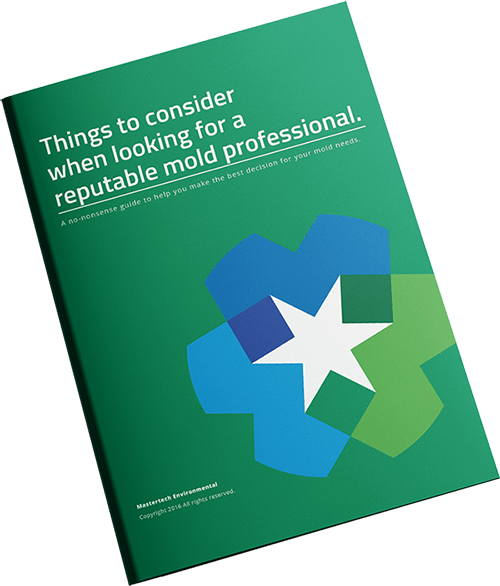 While different mold remediation companies may prefer a specific chemical brand or machine type over another, all professional mold remediation processes should look similar. Ultimately, a mold remediation process should be designed to drive the best results possible without compromising safety. Basement mold remediation, attic mold remediation and crawl space remediation are some of the most commonly requested services. These areas are hot spots for moisture problems and mold growth in New Jersey homes and businesses. Learn more about mold remediation services in your area here.